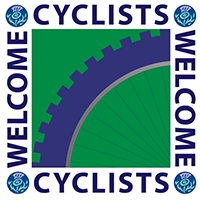 Luxury 5 star accommodation including jacuzzi and sauna in private location in the heart of the Hebrides with outstanding views set in 9 hectares of young woodland. Assisted wheelchair access to all ground floor. 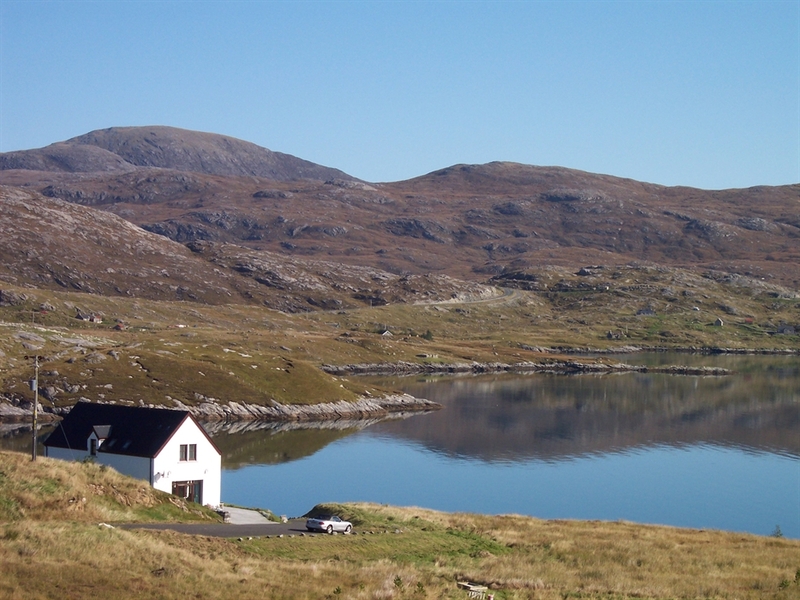 Croft Cottage offers five star luxury accommodation in an outstanding location in the heart of the Hebrides. It is situated down a private road in a wooded croft giving a sense of complete seclusion. 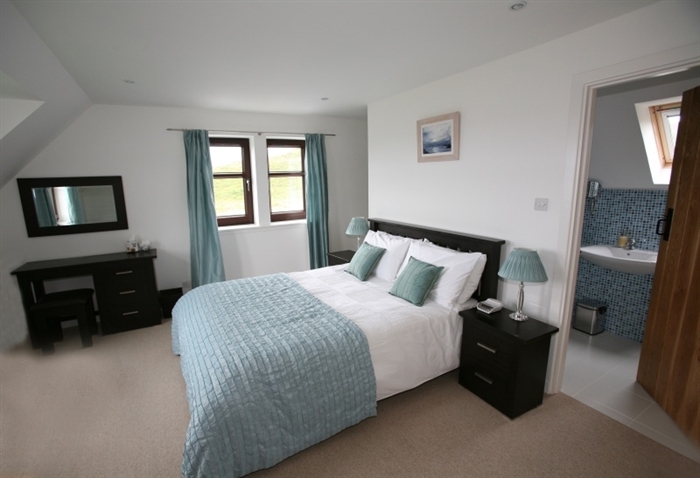 It enjoys stunning panoramic views of East Loch Tarbert, the Minch and the Isle of Skye. 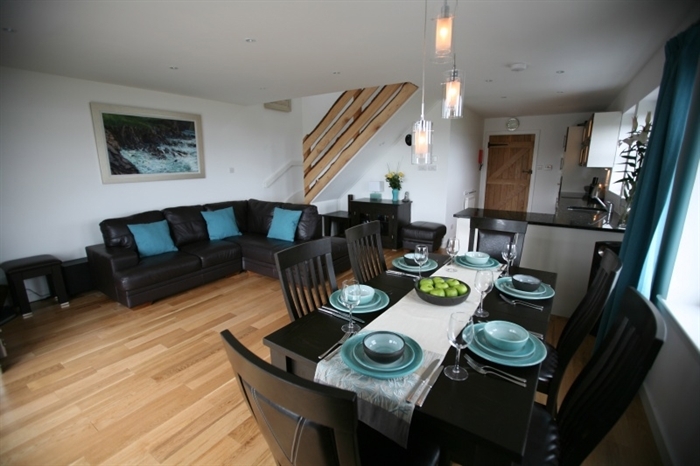 It is within easy walking distance of Tarbert with its shops and pubs and it is only 10 minutes drive from the outstanding beaches of Luskentyre and Seilebost. There is private parking for up to 5 cars, wheelchair access, and a patio area accessed from the main living area. The open plan living/kitchen/dining area is a spacious, beautifully furnished and decorated place in which to relax and unwind. 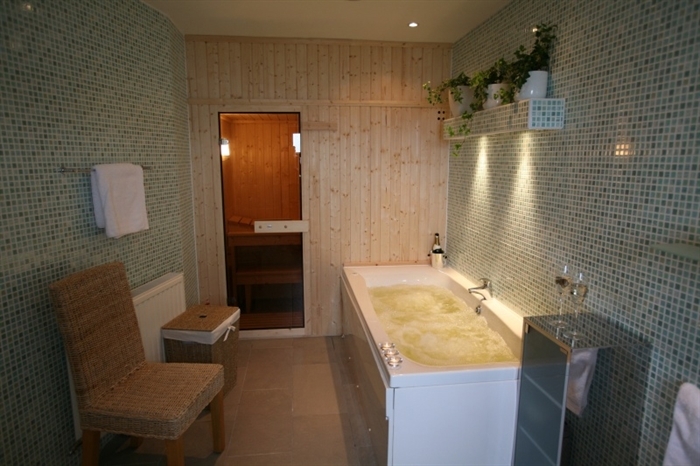 The large bathroom on the ground floor with sauna, jacuzzi and walk in shower is tastefully finished and is conveniently next door to a double bedroom with full wheelchair access. 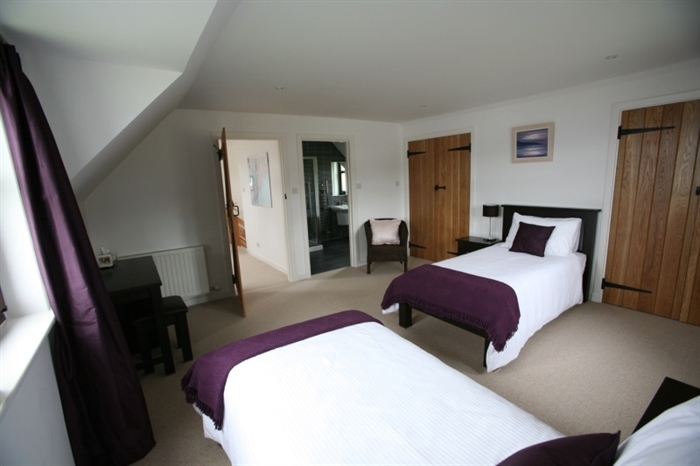 On the upper floor are two large en-suite bedrooms (one king size, one twin) with amazing views. House facilities include: oil fired central heating, solid oak floors, original art works, polished granite worktops, unique Borgh Pottery, Sky+HD with full sports and movies package, DVD, stereo surround system, WI-FI, computer, telephone, maps, books, games, golf clubs, barbecue, fishing rods, free access to Harris Golf Club, a midweek clean if requested, generous supplies of household goods, luxurious towels, bath robes and welcome pack. “Absolutely fantastic. Beautifully designed and furnished with excellent facilities. 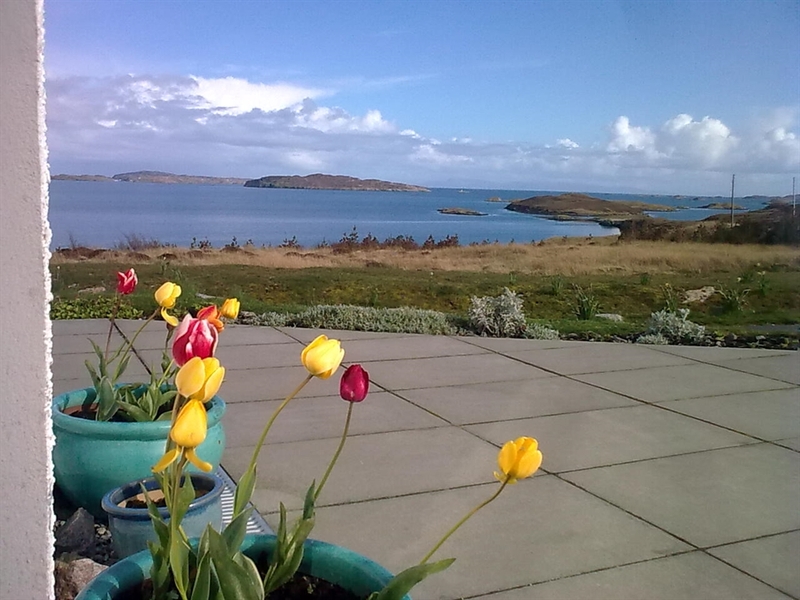 Excellent location within Harris.” See further reviews on Flipkey/Tripadvisor.